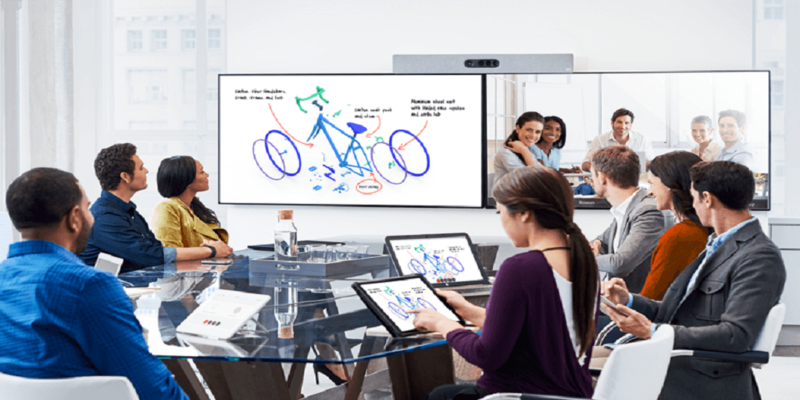 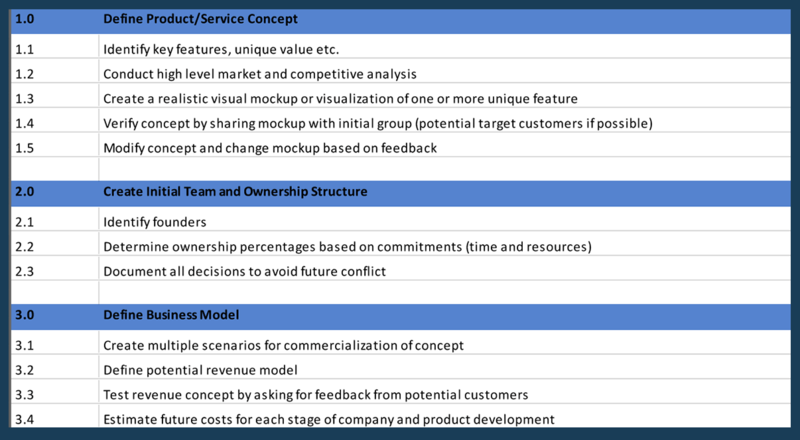 Free project plan template for teams building internal software. 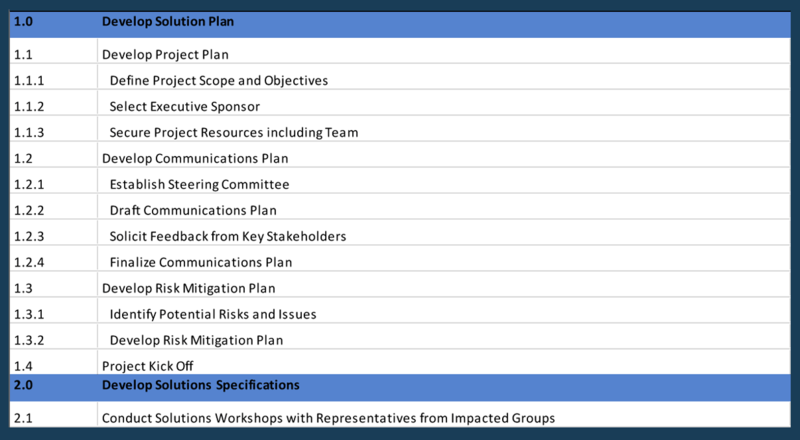 Plan for Solution Design, Implementation and Evaluation. 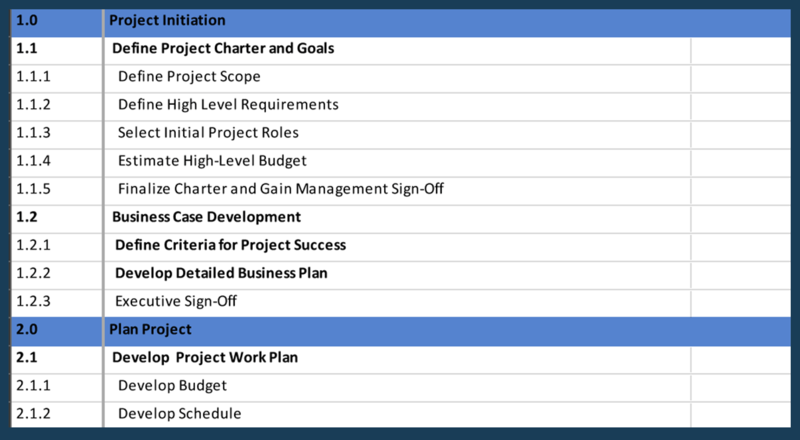 Free project plan template to run an online marketing campaign. 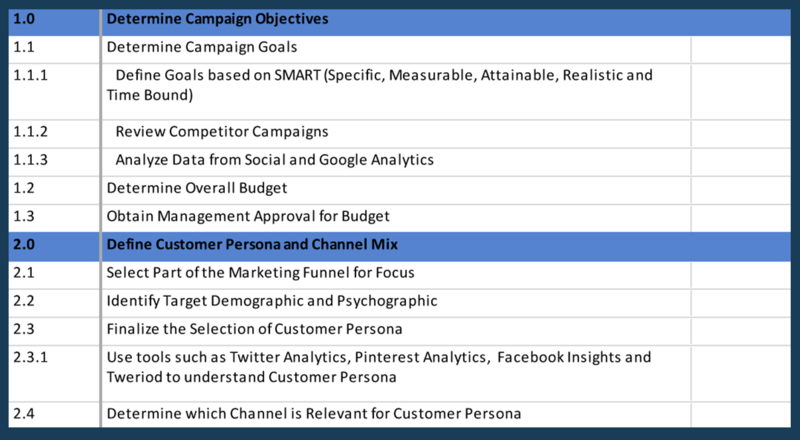 Plan to define customer persona, select campaign resources and design campaign. 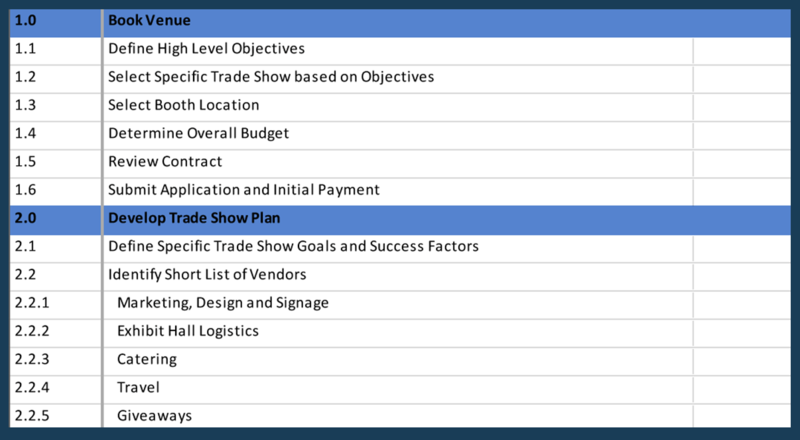 Free project plan template to run a tradeshow. 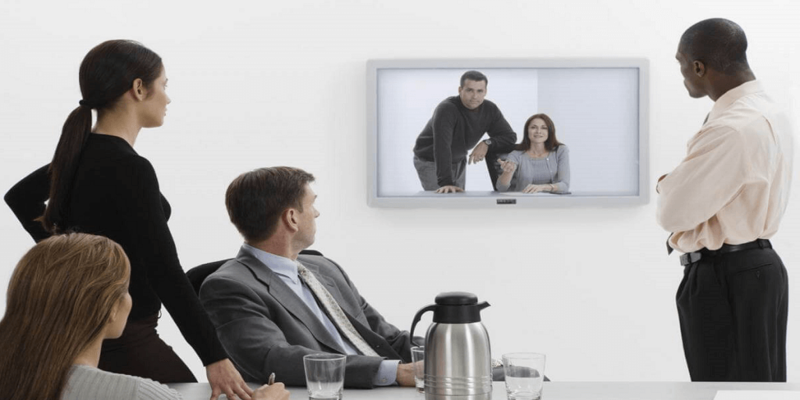 Plan to create the tradeshow and how to execute all onsite activities. 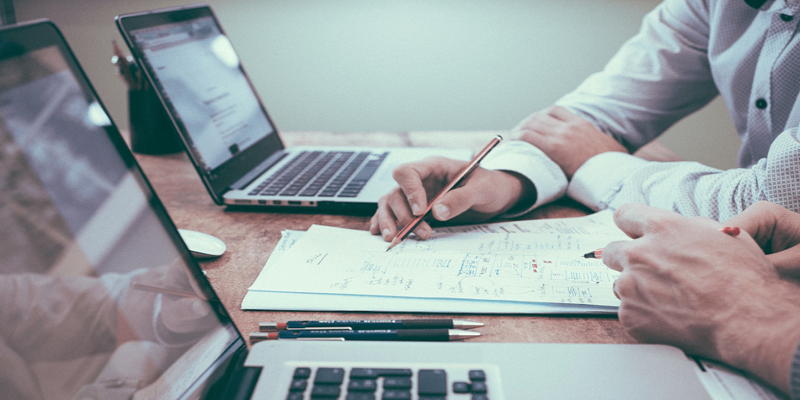 To do list or task management?